Viet Nam will pay special attention to reforming the nation’s insolvency regime as part of efforts to create a favourable business and investment climate, Supreme People’s Court Chief Justice Nguyen Hoa Binh said yesterday. Addressing the 10th Forum for Asian Insolvency Reform (FAIR) which opened in Hà Nội, Bình said a good insolvency regime was important at the time of rapid global integration, when many Vietnamese businesses were extending their global reach and a growing number of foreign firms were investing in the country. 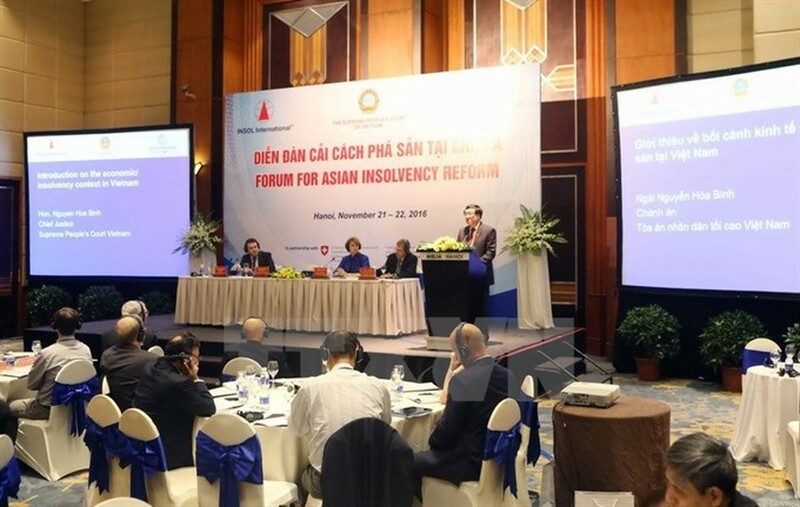 Bình said Việt Nam updated its law on insolvency in 2014 and hoped to share achievements from this effort at the forum, while learning from international experiences to make further improvements. During the past three decades, Việt Nam has updated its insolvency regime three times. The aim is to accord sufficient protection to creditors, debtors as well as workers, and ensuring social stability, Bình said, adding that insolvency regime was a useful tool for eliminating weak and inefficient companies and promoting economic restructuring. New amendments to the Law on Insolvency will further clarify conditions for insolvency, simplify procedures and facilitate restructuring, he added. The two-day forum attracted hundreds of participants from 18 countries and territories and international organisations, becoming a platform for policy makers, scholars, legislative and juridical organisations, ministries and businesses to share experiences and promote insolvency reform ins member countries. The Forum for Asian Insolvency Reform (FAIR) is an organisation committed to bringing stakeholders together to discuss insolvency reform in Asia, according to the World Bank website.